We have loved our stay in Goolwa and we have learned so much about the Coorong. The Ngarrindjeri people were the original inhabitants of the area. 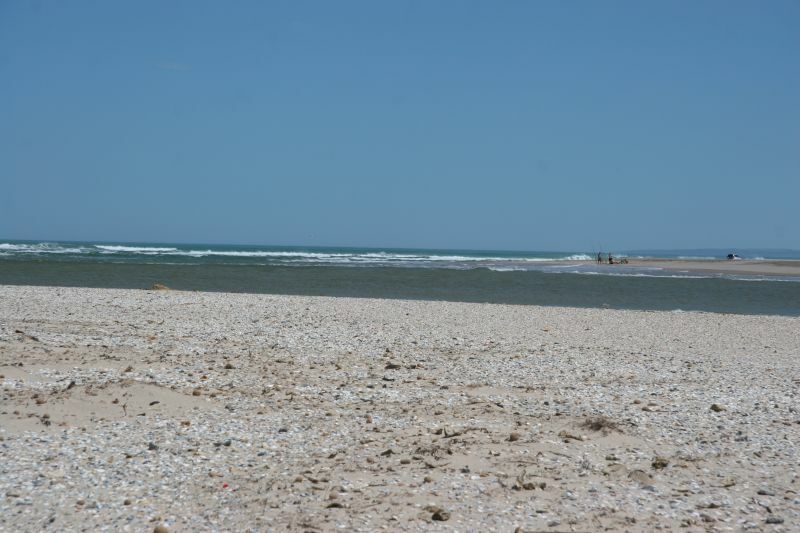 Goolwa means “an elbow in the river” and Coorong means “a long narrow neck”, or “a narrow lagoon”. 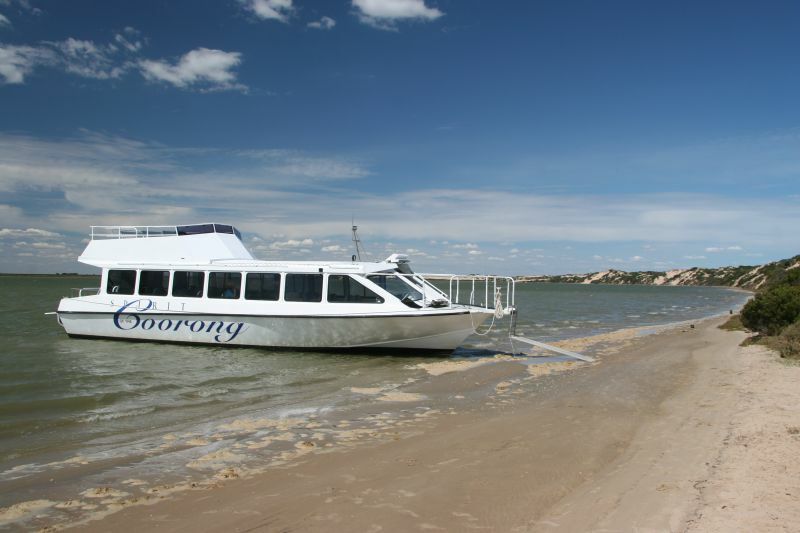 Our 4 hour trip on the Spirit of the Coorong was interesting, comfortable, with a delicious salad for lunch, and as I mentioned in the last blog, the walks were guided by Neil, who has lived in the area for more than 70 years. He, together with Emus and Kangaroos, gathers and scatters seeds and helps to vegetate the ‘blows’ between the sand dunes. He showed us how you can dig for fresh water, only about an elbows length under the sand. The first half an hour of the cruise was in the fresh water of the Murray River, then, after entering a loch, and having to lower the boat down approx. 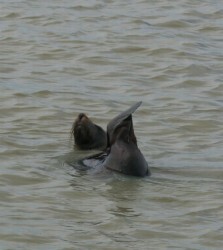 1 metre, we entered the brackish water of the Coorong. The Coorong National Park is actually only the water, not the surrounding land, which is Crown land and freehold (at this point). There are approx. 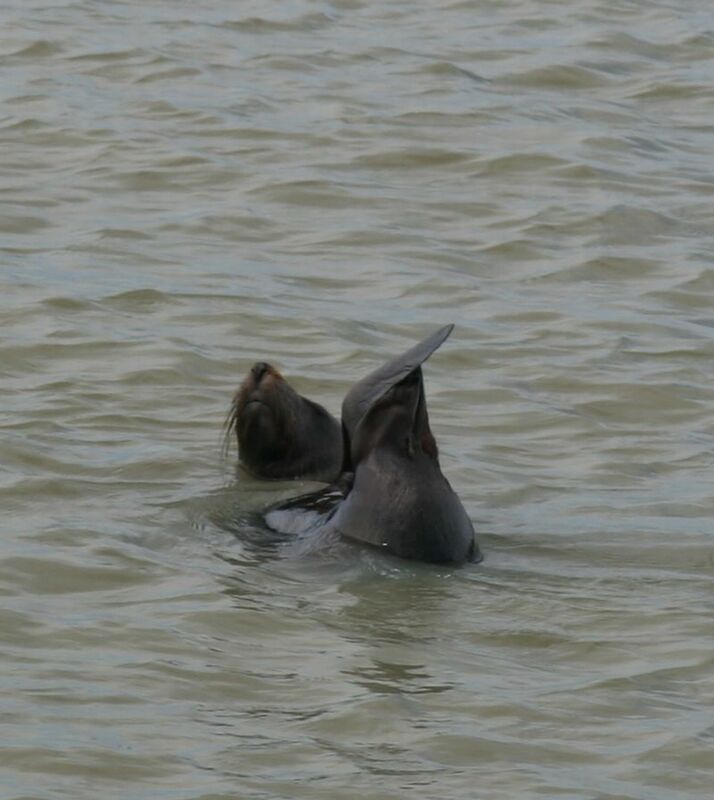 200 seals around the barrages, much to the disgust of the local fishermen. 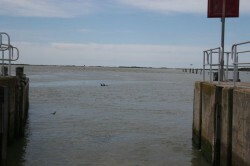 We were taken out to the Murray Mouth and we couldn’t believe the expanse of the river. Our previous photo was unable to show the width – it was quite unbelievable. There were people camping at the mouth, having driven along the sand for miles. Over the last 3000 years, the Murray Mouth has changed its position 6-8 kms from where it is now. The river, at the moment, is removing 90,000 cubic metres of sand a day. One storm can cause 100,000 cubic metres to be deposited in the estuary. 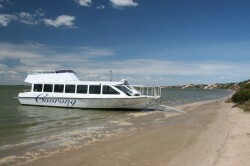 The recent flood has removed so much sand, the Coorong, at some places, is 40 feet deep. During the 1956 flood, the Murray Mouth was 1km wide and the water level only rose half a metre, but at Mannum the river was 5 metres above its normal level. We walked at Barker’s Knoll, named after Capt. Collet Barker (who was killed by aborigines, when he went ashore). The aboriginals previous encounters with Europeans is believed to be with escaped convicts from Tasmania, who captured the women, so he didn’t stand a chance. We have moved down onto the Limestone Coast and are staying on a farm/caravan park/accommodation (Gemini Downs). 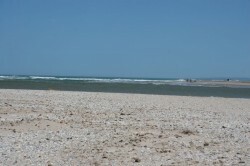 There are many walks we can do from here, in the Coorong National Park (where it includes land as well as the water) . We were amazed by the size of the Coorong after Miningie – a massive expanse of water and loads of birds. The trip from Goolwa to Miningie was pretty depressing, because of huge areas of cleared land, which was terribly salt effected in places.